I realise that there will be some people who will want to buy the book but may perhaps not actually plan to build the model. The first two chapters are interesting but short, and whet the reader’s appetite for the main course build process. The gallery chapter does have some beautiful photos, but the vast majority of the book contains pages of detailed instructions and the catalogue of parts required. I left the book lying on our coffee table and, to ensure this was an accurate scientific experiment, I also left a control. In this experiment my control was another ‘coffee-table’ book that has proven popular in our house but is completely unrelated to LEGO. Over the festive period, a range of family and friends were able to pick up and flick through either book. The Alien Project faired very well despite the range of age groups and complete lack of LEGO interest in my visitors as a whole. 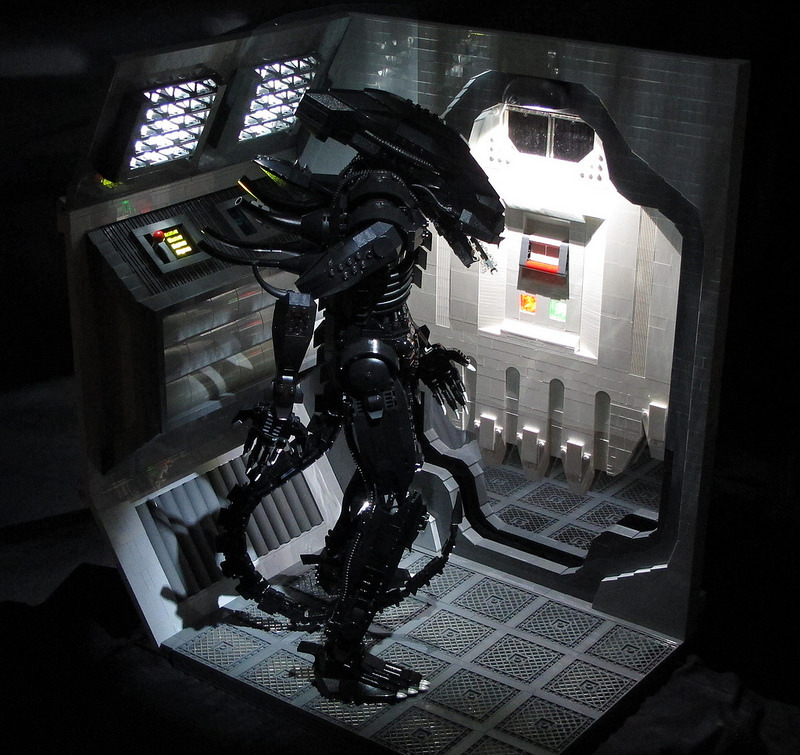 The actual subject matter is well-known as the original Alien film is particularly iconic, and this gives the book a wide-spread appeal despite being a niche book. The first book published by the Arvo Brothers was Kaneda’s Bike but unfortunately the rarity of a few key parts meant only a limited number of people could actually build the model. This time, the Arvo Brothers have recognised that there are a few hard-to-find parts when developing the model and there is an alternative build within the instructions. 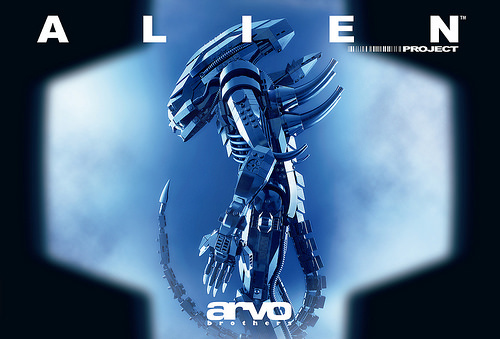 The alternative build relates to the ‘spines’ on the Alien’s back. In addition to the parts required for the original spines, there are a few other parts that are difficult to find. 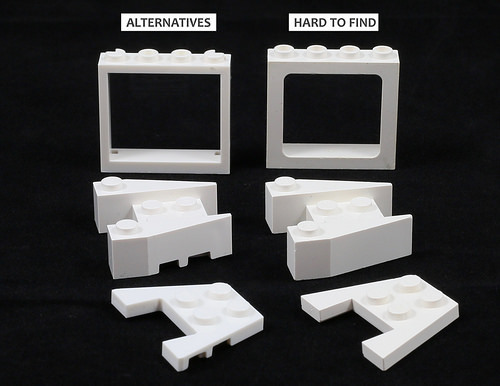 If you are open to using easily available alternatives, then there will not be a problem with getting parts and completing the build. As someone who has built the model, I already know that the common sources for parts are now bereft of these hard-to-find parts. An example of tougher to find versus easy to find is shown below (these all related to the base rather than the figure). 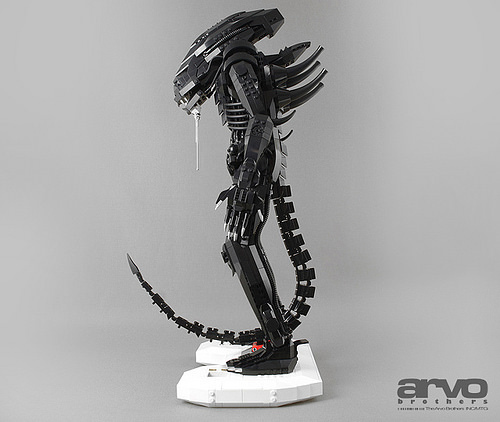 You can make your own decision about whether this is a showstopper for building the model, but remember this is the base and not the Alien. There is another way of avoiding some of the issues with finding specific parts to complete the base, and that is to simply build your own habitat for the figure. This route was taken by Missing Brick with resounding success. The book offers a fascinating insight into the process of developing and designing the build. The Arvo Brothers have chosen parts that are far easier to find this time and many will already be plentiful within your LEGO collection. 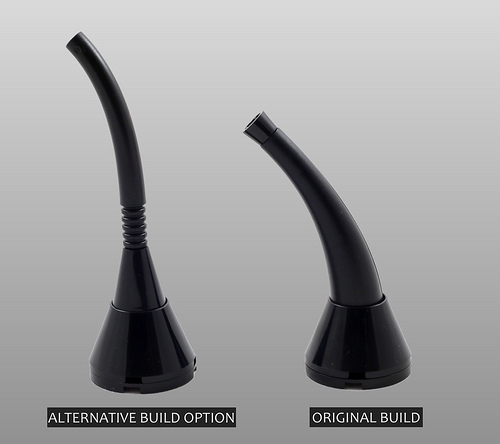 The few hard-to-find parts that are present in the build are not essential as there are alternatives available. The book is beautifully presented, but to achieve a higher level of gratification I cannot recommend the experience of building this model enough. Thank you to the Arvo Brothers for providing a copy of their book for us to review. good work jackalope….much faster than me haha! I had already half of the total bricks in my storage (about 1000). Anyway i did about 15 orders on BL to complete.